When something is called “synthetic,” it usually means that it was made by a chemical process in an attempt to imitate a natural product. There are many reasons why synthetic products are made – the raw materials may be cheaper or the production process may be faster, for example. It may also seem easier to evade prosecution for certain crimes when the product in question is synthetic rather than natural. Moreover, a synthetic drug can be produced in a much smaller space than it would take to cultivate a similar quantity of the natural drug. However, just because it seems less risky does not mean that you will not be accused or investigated on the basis of an alleged crime involving a synthetic drug. San Bernardino and Riverside County drug crime attorney Gregory H. Comings can defend you if you are facing charges related to a synthetic drug offense. Like meth crimes, synthetic drug offenses have rapidly evolved in the past several years, such that the punishments for possession, sale, distribution, administration, manufacture, or trafficking in substances like synthetic cannabis or synthetic stimulants may result in similar punishments to those for the same offense regarding “the real thing.” While it has been illegal for quite some time to manufacture or sell certain synthetic compounds that mimic the effects of natural products that cannot be legally possessed, California law has grown increasingly harsh, adding a number of new drugs and chemicals to the list of prohibited synthetic cannabinoids. There are a couple of reasons for this. First, many synthetic drugs have more dangerous – and less predictable – side effects than their natural counterparts. Since those who manufacture these illegal substances frequently change their formulas, it can be difficult to predict what a given drug’s effect will be on a user. Users who are unfamiliar with a particular synthetic product thus may overdose more easily, may become addicted more quickly, or may find the synthetic drug to have side effects that would be unusual or non-existent with the natural form of the illegal substance. Additionally, the easy availability of synthetic drugs in retail shops, sometimes even packaged to attract children, make them a particularly dangerous enticement to young, more vulnerable consumers. Because of this, both the State of California and the federal government have passed laws designed to punish people who use, make, sale, or traffic in synthetic drugs. The punishments can be life-changing. While a simple possession case may only be a misdemeanor (punishable by less than a year in jail), more serious offenses (like trafficking) can carry a sentence of up to 20 years in a federal prison plus a fine of up to $1 million. Thus, it is very important that a person accused of a synthetic drug offense contact an attorney as soon as possible after being arrested or becoming aware that an arrest may be imminent. State and federal drug laws, especially those involving serious offenses like drug trafficking, can be very complex. It is not unusual for police or drug enforcement officers to make a mistake during the investigation or arrest of a person suspected of a drug crime. 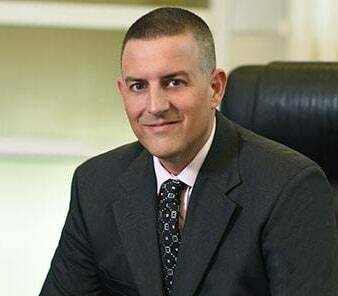 Attorney Gregory H. Comings works hard to hold law enforcement accountable for violations of a defendant’s constitutional rights and other protections, including the right to be free from unreasonable searches and seizures and the right to confront accusers. If you or a loved one is facing a synthetic drug charge or has been accused of another serious crime in San Bernardino, Riverside, or the surrounding areas, call us at (951) 686-3457 or contact us online to set up an appointment. Someone is available to take your call at any time of day or night, as well as on weekends. Se habla Español.